Carl Santos became the Senior Pastor of New City Church (NCC) in May 2018. Carl has been married to Sara for 15 years and have 6 children: Caleb (11), Maia (9), Levi (7), Isaac (5), Simon (2), and little newborn Ezra. Carl completed his undergraduate degree (Hons.BA) from the University of Toronto and his Master of Theology from Tyndale Seminary. He is currently completing his Doctoral degree at Tyndale in the area of Preaching and Culture and was ordained the PCA in 2018. Carl has not only served a number of years in pastoral ministry but also has extensive experience in senior leadership the corporate and non-profit sectors including organizations such as H&R Block, Boston Pizza, Alpha Canada and the Gideons in Canada. Carl is an avid soccer fan who loves to read and spend time with his family. Michael Ivancic is the Associate Pastor who helped launch New City Church (NCC) in September 2010. Michael has walked together in marriage with his wife, Charlotte, for over 25 years. They are proud and grateful parents of Josh (23); Michaila (21) and Elisa (15). Michael received a B.A. in Arts (Urban Development) from the University of Western Ontario and Master of Christian Studies from Regent College. He was ordained in the Presbyterian Church in America in 1999. 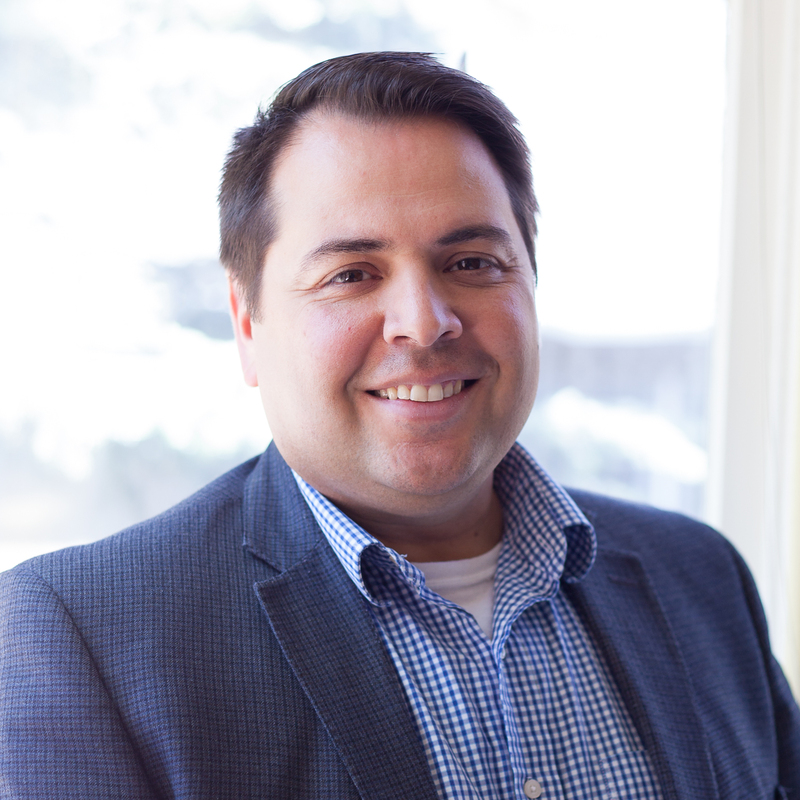 Michael has worked with Campus Crusade for Christ (now Power to Change) for eight years and previously served as a church planter and Senior Pastor in Vancouver and Toronto respectively. Today, Michael is NCC’s Associate Pastor in addition to working full time for a North American Information Technology Company. Michael is an avid runner (the longer and farther the better! ), who loves travel, theatre, sushi and reading a broad variety of books. Calvin has been involved with New City Church from its original planning and launch, and has attended New City since its inception in 2010. Calvin currently serves as an elder for New City Church. In this role, Calvin is responsible, along with the rest of the session, for the spiritual leadership and direction of New City Church. He is also responsible for assisting the pastoral staff with addressing spiritual concerns arising from the membership and regular attendees of New City Church. Calvin and his wife Suzanne have been married since 2008. In 2015, they joyfully welcomed their 3 year old daughter from Vietnam. Calvin currently works full time as a design technologist as a Highway planner for an Engineering Consulting firm that works with the Alberta government to design, upgrade and maintain the Alberta Highway network. Mark has been leading the worship teams at New City Church since its inception in 2010. He graduated from the University of Calgary with a Bachelor in Music and a Bachelor of Education in 1996 & 1998 respectively. He was a teacher in the private and public school systems in Calgary for 10 years. He has had a business in financial services as his full time career since 2008. Mark and his wife, Lana, have been married since 2000 and have three children; James, Breanna, and Lauryn. In her role as Children's Safety Coordinator, Shannon oversees the background checks and child safety training of our child care workers. Kevin is the ministry intern for New City Church. In this role, Kevin works with the youth and young adults, and helps out wherever help is needed on Sunday mornings. He is originally from Germany and became a follower of Christ in the summer of 2005. Kevin has been attending New City Church since 2014, where he met his wife, McKenzie. In addition to his work with New City, Kevin works full time in the oil and gas industry and volunteers with Faith Beyond Belief, a local apologetics organization. Suzanne Van Hill has been the part-time Admin Assistant at New City since January 2014. In this role, Suzanne is responsible for putting together the worship folder & overhead slides for Sunday worship services and posting the Sermon audio & slides on our website. She also does the quarterly volunteer scheduling. Suzanne is a true Calgarian - born & raised! She has been married to Calvin since September 2008. In the Fall of 2015 they welcomed home their first child - a 3yr old daughter from Vietnam. Suzanne studied Interior Design at Mount Royal College (now University). She worked for 7 years as a design/salesperson at a high-end cabinetry shop. After a three month ‘sabbatical’ in Uganda volunteering at an orphanage, she started working as an assistant for a landscape designer, where she did admin, bookkeeping, drafting and outdoor labour. Suzanne loves cooking, gardening, hiking and travelling. Twyla is the Bookkeeper for New City Church. Twyla handles all day to day financial aspects of the church including payroll, accounts receivable and payable as well as keeping track of the offerings for tax receipts. Twyla, her husband Darrell and son Milo have been with New City Church since its inception in 2010. Her background is in administration and bookkeeping. In addition to her part-time work with New City, Twyla homeschooled her son Milo for six years and is enjoying working from home.